I received my plantation shutters yesterday and im thrilled. They are perfect! My experience with the Shutter Shop exceeded all of my expectations. I had been pricing shutters for quite some time. I was surprised the superior quality productI received for such a reasonable price. I will us The Shutter Shop again when I replace my kitchen cabinet doors!!!! The Shutter Shop manufactures Custom composite Plantation shutters, MDF raised panel shutters, aluminum Bahama style shutters, and aluminum hurricane panels. We also sell all sorts of windows coverings like bamboo shades, solar shades, faux wood blinds and much more by different dealers. We know that there are many options out there from which to choose so we at the Shutter Shop specialize in providing our customers the highest quality product at the most reasonable price. 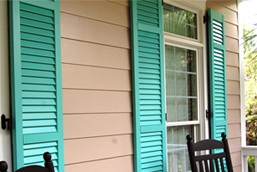 Check out our different styles of shutters and other products for the exterior of your home. View our selection of blinds, plantation shutters, and more for inside of your home. We manufacture more than just shutters! View our selection of specialty products here. Revamp your kitchen with new, custom lowcountry kitchen doors made right here in Georgetown. We are the manufacturer. 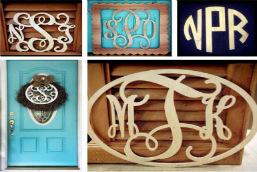 That means everything you order from the Shutter Shop is made right here in Georgetown, SC by our talented team. Products made here are shipped all over the country. Stop by our show room for more information today! Copyright © 2014 THE SHUTTER SHOP. ALL RIGHTS RESERVED.